Master brought me supplies for being so good today. He says I’m adjusting faster than the last one did. I didn’t even yell for help when the mailman came. Maybe he’ll let me out of the basement soon if I keep behaving well. I need to get out of this basement. Springtime must be close. I hear the birds more now. Soon I’ll be able to smell the dogwoods and Master will bring morels home. He always finds so many. Maybe we’re in the Pacific Northwest. That means I’m close to home. No, I have to stop thinking like that. This is my home now. 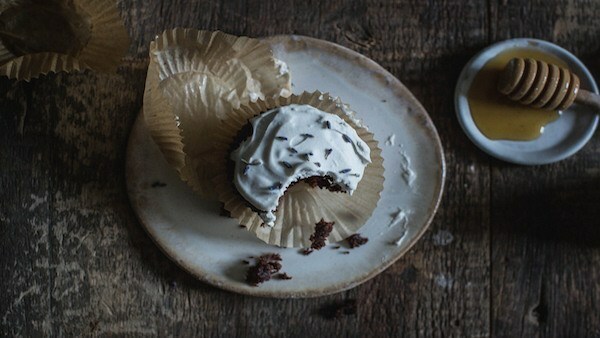 Put the coconut milk in the fridge the night before making these cupcakes so it’s thoroughly chilled. Just like I was for the first two weeks of my captivity. At least I wasn’t having panic attacks then. Heat oven to 350°f. Line a 12 cup muffin tin with cupcake papers. I grease them with a propellent free, non-stick spray, but you can skip that step. I’m just trying to fill the minutes. It keeps me from thinking too much. 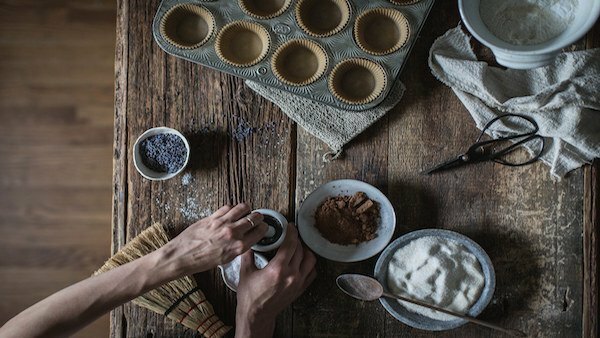 In a medium bowl whisk together the flour, xanthan gum, baking soda, salt, lavender, sugar, and cocoa powder. In a separate bowl combine all wet ingredients, then pour into the dry ingredients. Mix with a wooden spoon. Then place the wooden spoon back in its special hiding spot so Master doesn’t know you’ve been sharpening it. 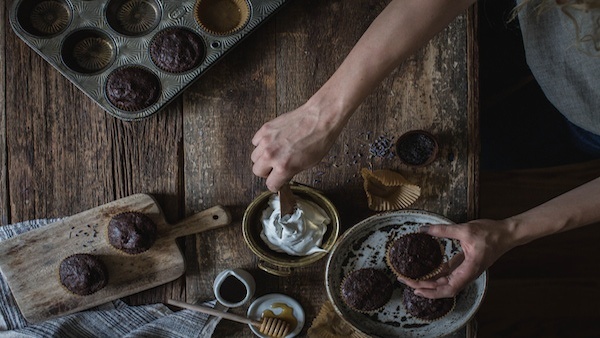 Fill each cupcake tin with 1/3 cup batter, and bake for about 18-20 minutes or until a knife inserted comes out clean. I’m not allowed a knife, so I use a tiny bone I found on the floor. God I hope it isn’t human. 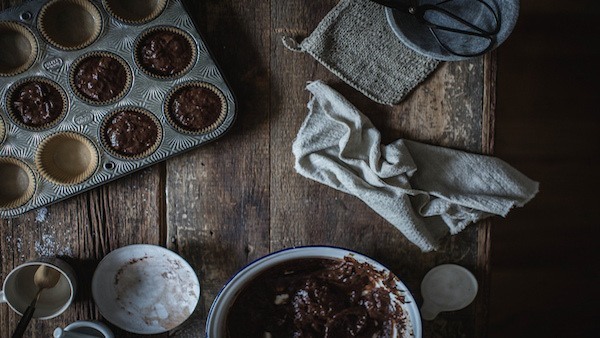 Allow the cupcakes to cool completely before frosting or it will melt, like dreams of escape. While the cupcakes cool, make your frosting. Turn your chilled cans of coconut milk upside down and open them with a can opener. Pour out the liquid. Scrape the solids left into the bowl. Whip with a whisk until fluffy then add honey or agave. Whip thoroughly to combine. Try not to think about the other kind of whipping that’s going to happen tonight. 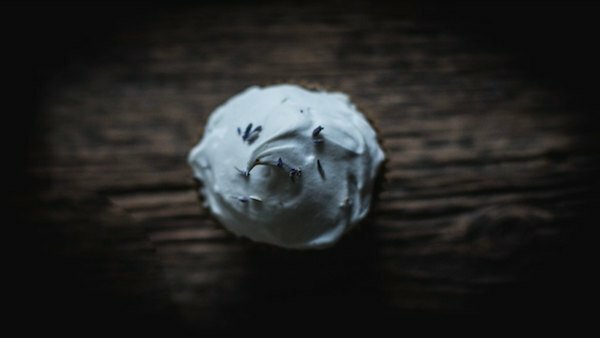 Frost the cupcakes with the whipped coconut and garnish with a few lavender buds. If you liked Kidnapped Kitchen’s recipes be sure to check out these DIY Projects and these life hacks.